Our most popular option, Emerald Cubicles feature unmatched flexibility to meet the budgetary, design and spatial needs of any project. Nine in-house fabric colors and six laminate choices create more Quick-Ship options than any supplier, while built-in cable management allows offices to meet and exceed the demands of an increasingly tech-driven world. Create an ergonomic workspace that enhances your corporate culture and reflects the values of your brand with the Emerald Cubicle System. Created to offer clients a truly high-end office solution at a mid-market price. 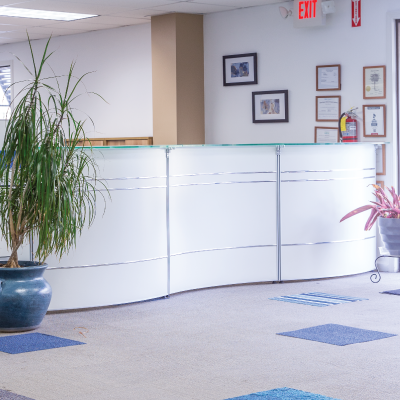 The free-standing Sapphire System features a reconfigurable brushed aluminum frame and removable tiles to allow users to change the layout and appearance of their office at will. In-house options available that ship in as little as 24-72 hours with completely custom options available. 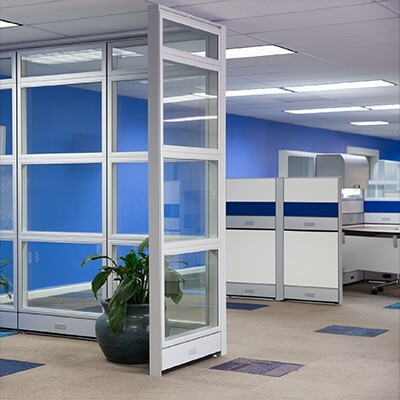 Combine with the Lunar and Diamond Series for an innovative office solution or add optional swinging or sliding doors for privacy. A versatile office system designed to enhance open spaces through well-balanced elements. The Diamond Series features elegant floating work surfaces with beveled edges and our signature Diamond Support Legs in brushed aluminum. The sleek flowing lines, superior design and sturdy construction of the Diamond Desk Series make it a welcome addition to any contemporary office space. Can be combined with the Sapphire and Lunar Series for a complete multi-use office solution. The Lunar Series can complement a wide spectrum of styles and décor, whether the contemporary focal point of a sophisticated atrium or awash in a sea of whimsicality, both pieces in this series (The Eclipse & The Wave) are available in several configurations to fit the unique design and spatial needs of your facility. 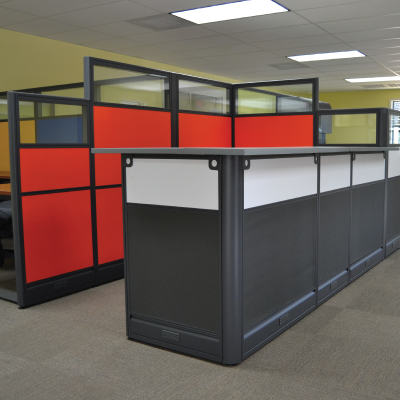 A combination of flexibility, affordability and bold aesthetics make this endlessly reusable and reconfigurable cubicle system rise above the competition and firmly hold its place as a leader in modular office solutions. The finest modular offices are now a quick-ship option! 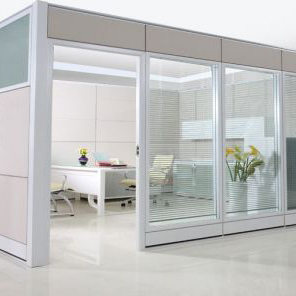 The Sapphire Demountable Wall System is a sleek, modern and sophisticated solution to office design. Combine it with the new Diamond System for an innovative office solution. The Lunar Series can complement a wide spectrum of styles and decor, whether the contemporary focal point of a sophisticated atrium or awash in a sea of whimsicality, both pieces in this series (The Eclipse & The Wave) are available in several configurations to fit the unique design and spatial needs of your facility. We sell our products and services nationally through a network of independent and company-owned businesses. We believe that no two companies have the same needs or budgets which is why we have designed two styles to choose from, our monolithic Emerald System and our Sapphire Tile System. We offer stock products which allows us to offer fast turn around time as well as custom order options, which adds to lead time. Our style, quality, and price points will definitely stand out compared to our competitors. Give us a call and let us prove it to you!